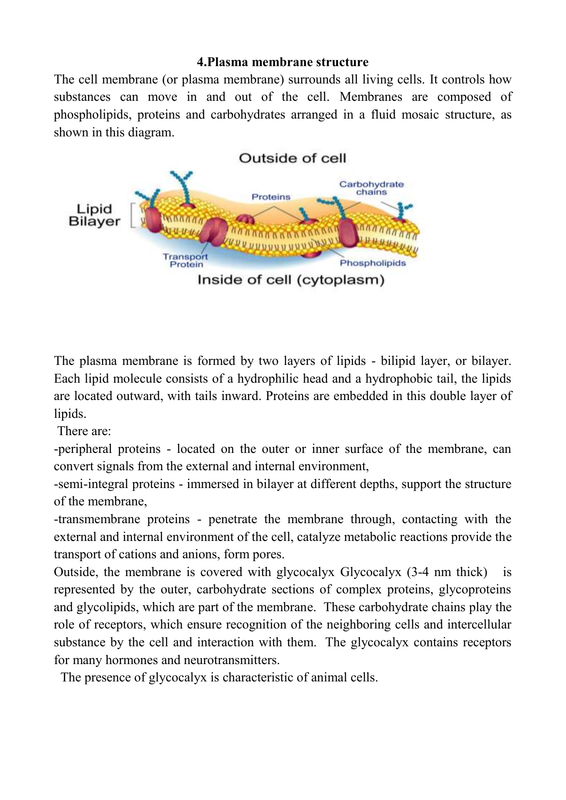 The plasma membrane is formed by two layers of lipids - bilipid layer, or bilayer. transport of cations and anions, form pores. for many hormones and neurotransmitters. The presence of glycocalyx is characteristic of animal cells. 3. What is the structure of the plasma membrane?